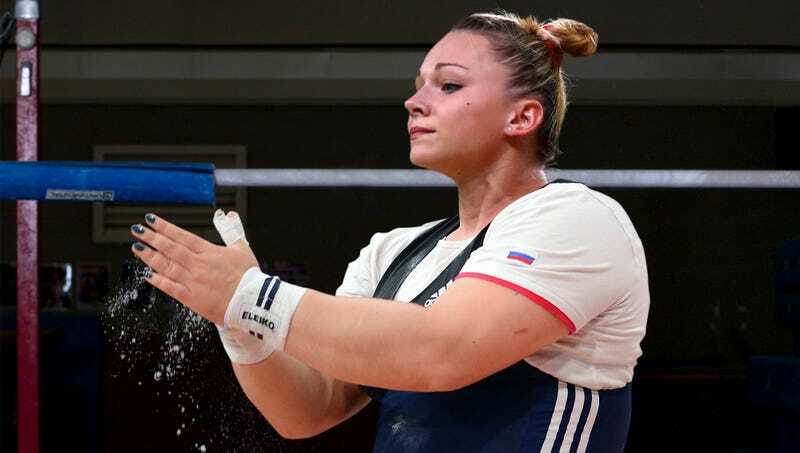 MOSCOW—In light of the International Olympic Committee’s decision to bar all Russian athletes from the 2018 Winter Olympics as punishment for its engagement in systematic doping, witnesses reported Wednesday that Russian Olympic coach Anatoly Krukov gently broke the news to hulking, 200-pound gymnast Katerina Yelpshin that she won’t be competing in South Korea. “This is a very difficult thing for me to tell you, especially since you’ve worked so hard, but, unfortunately, the Olympic committee has the final say,” said Krukov, placing a comforting hand on the massive, stony bicep of the five-foot-two 15-year-old as tears streamed down her stubbled cheeks. “I’m so sorry. It’s not fair what they’re doing to you. I wouldn’t blame you one bit if you screamed or punched a hole in the wall.” At press time, the visibly distraught Yelpshin reportedly picked up a 300-pound vaulting table and threw it across the gym.